What Are Tracking Cookies, and Should They Concern Me? - Ask Leo! What Are Tracking Cookies, and Should They Concern Me? Cookies are placed on your machine by websites -- often more websites than you realize. We'll review cookies and how third parties can use them. And thus we have “tracking” and “third party” cookies to talk about. First a quick review: a cookie is just some data that is placed on your computer when you visit a website that is simply sent back to that same website (and only that exact same website) the next time you visit it. So when you visit askleo.com, the web site might place a cookie on your machine that says “this person has seen the newsletter pop-up”. A week later when you visit askleo.com again that cookie is automatically and transparently sent to the web site, so that it knows that you’ve already seen the newsletter pop-up – presumably so that it won’t annoy you with it again. That’s all cookies are – a way for websites to remember stuff between visits. What they remember is completely up to the website itself and what it chooses to place in the cookies it might leave on your machine. Next we need to talk about how most advertising works on a website. Most advertising on the internet is performed by services that connect large numbers of advertisers with large numbers of websites that have signed up to display or carry ads. So when you visit http://example.com you might well see ads that have been placed there by http://ads.somerandomservice.com. (To be clear, all URLs are fictitious examples.) Later, when you visit some other site, maybe http://reallybigbookstore.com, you might also see ads that have also been placed there by that same advertising service – http://ads.somerandomservice.com. And when I say “placed there” I do mean that the page you’re loading contains direct references to the ad service provider http://ads.somerandomservice.com. That means that when your browser loads the page from http://example.com, the HTML on that page says, in effect, “place an image here, and get that image from http://ads.somerandomservice.com/…” at which point your browser dutifully goes out to ads.somerandomservice.com and gets the image, which happens to be an ad. This is where cookies enter into the picture. Whenever your browser fetches a URL – be it the page you asked for, or an element like an image within that page – the web site that it contacts to do so has the opportunity to place cookies on your machine. So when you go to http://example.com, then of course example.com can place cookies. However, if that page also references another web site like http://ads.somerandomservice.com/ for an image on that page, then ads.somerandomservice.com can also place cookies as well. These are called “third party cookies”. So far so good; you visit a site, it can place cookies, and the sites that provide additional content on that page can also place cookies. Ads.somerandomservice.com “knows” what sites you visit, but only those sites that happen to display ads from ads.somerandomservice.com. So far all I’ve talked about is advertising services. In reality this simple technology can, and does, span more services. The net result is that either by interacting directly with a Google service, or interacting with a site that uses a Google service1, you’re being exposed to many opportunities for Google to leave tracking cookies on your machine. And it’s not just Google– they’re just a large, easy-to-understand and somewhat extreme example. The same may be true to varying degrees of other advertising networks and behind-the-scenes online service providers. Now, naturally, you may feel that this is, or is not, a big deal. Your actions as an individual are completely uninteresting. No one is tracking you personally. Besides, most of these services collect way too much data to spend time looking at any one person. The more interesting uses of this type of tracking are when the data is examined as a group, or in aggregate. For example, with this data, the advertiser can determine things like “40% of the people that visit example.com also visit reallybigbookstore.com”. Advertisers and website owners eat that stuff up. The good news for the paranoid is that most browsers can identify third party cookies and can be configured to reject them. That’s fine, and you can do that if you feel so inclined. I’ll caution you that there may be web sites whose functionality might actually rely on third party cookies, and you may find yourself needing to add exceptions somehow. Third party cookies are not evil, and can be used for more than just advertising and tracking. The bad news, of course, is that if you do block third party cookies there are other ways that these services can still collect most of what they’re interested in. The only practical way to avoid this type of data collection is to simply not use the internet at all. 1: Like Ask Leo!, which uses both Google Analytics and Google Adsense. « Previous post: How do I get the old msn.com homepage back? I have wondering about these cookies for some time now. Every time i do a virus scan i get a lot of these things. Now i understand what they are and how they work I’m not that concerned. Thanks once again . I have bookmarked your site for future reference. Keep up the good work. I have no sence about the cookies. I know about the cookies from you.I want to know from you that I work thoes website get paid to read email and paid to click.Thoes websites are true or fals, please said me. Please tell me about the website which name is http://www.e-mailptr.com.Thanks again. When i do a scan, I get an enormous amount of ADWARE tracking cookies alerts, why is this? Many scans are grosly oversensitive or overbroad in the definition of “adware”. 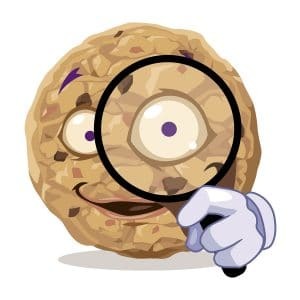 Tracking cookies are just small bits of text data stored on your computer. There is absolutely NO executable code here, so they can’t be considered as software at all. Adwares are applications designed to push invasive ads on you. I am not concern with tracking cookies. I think only paranoid people are concerned by this and go to extraordinary great lengths preventing tracking cookies in which I think it’s a waste of time and energy. That sounds like SUPERAntiSpyware to me for saying Adware cookie. I think they ought to reword that because it makes it look like you got malware when you haven’t. Am i the only one who laughed when a pop up came up when they were reading this? What would be a few examples of that? Several web mail services use third party cookies. Many other sites that demand you to login also use an intermediate site to that purpose. This process demand the use of third party cookies. Google translate can’t work without those as the text to translate appears to be transmited as a cookie. If I disable third parti cookies, I just can’t access my Yahoo! mail, GMail and several other accounts. Some sites might use a third party service to perform credit card transactions. A website can’t do that themselves, so they use a third party site which may need to leave a cookie, which by definition is a third party cookie. Other examples might include a site using a third party website to verify logins etc. so, its a good idea to go to internet options and click delete then do a disk clean every time we log off. right? i`ve always wondered why a sites like askleo.com always asks me to sign up for the news letter every time i use it. i always clear my cashe and cookies. Cookies are there to make your internet experience seamless and more useful to you. It would be nice if Askleo.com knew a tiny bit about you each time you came – because that is like having the waitress in your favorite restaurant recognize you and give you your favorite table when you come in. It’s pretty easy to tell if a website is a good guy or a bad guy. Just like with askleo.com you come to the site because you like the content. If you have the same feelings about Amazon, or Ebay or any other site that you like, then that site can go on your good-guy list. Great article. I always assumed the terms “cookies” and “third-party cookies” were interchangeable. Well, I get it now – thanks. But Leo, you left me hanging… What are the other ways those services can collect what they’re interested in? You computer will also actually cache pages of sites you frequent regularly online. Clearing out your cookies, history and cache make it so that everything has to be done completely from scratch. Yes, it will be slower. For the most part these things are downloaded to your computer to make browsing the internet easier for you. Could be that, or it could be that the browser is rebuilding the cache, which is typically also emptied by CCleaner. The thing I like about CCleaner (and I assume other similar programs have features like this) is that it can show you a list of web sites that have saved cookies on your computer and let you select a list to save (i.e., to not delete the cookies) when you clean your computer. It’s usually a long list, but I scan through and select the sites I recognize that I intentionally visited, and typically leave any site with “ad” or “analytics” – sorry Google, and Leo – in it in the delete list (makes me feel better, even though it may or may not reduce the info they have on me). Then the next time I run CCleaner (which isn’t terribly often – maybe monthly), it remembers the sites I saved last time and displays another list where cookies were added and I can select more sites I recognize and add them to the list of ones to save. Here Leo’s response to the supercookie issue. To avoid identification and future tracking. This is a pretty extreme example, but if anyone values their privacy that much they could run their computer from any number of Linux live CD’s which run off the RAM which is erased when your computer shuts down. It is a pain booting from a live CD whenever you want to go on line though. I personally don’t worry about cookies much but I do get annoyed by being bombasted with the same ads over and over. I find the new version of firefox much more obnoxious with ads than it used to be, to the point I will probably go back to Chrome, which isn’t perfect either. Cookies don’t affect performance in any noticeable way. They are just small data files which are only accessed by the website which place them there. The reason you have so many is because the advertisers on those sites also place cookies to identify your computer to any other website which uses that advertising service. Deleting cookies regularly would actually slow you down as you would have to log in to every website which you would normally be automatically logged into. Programs like those you mentioned scan for tracking cookies. There’s generally no harm in removing those, but on the other hand there’s really no harm in leaving them alone. I wouldn’t necessarily recommend stopping those antispyware scans as they scan for other problems other than cookies. There are a LOT of different cookies happening these days. I don’t believe it adversely affects performance. Why don’t i have cookies in my browser from pop ups? and a cookie from a site which i visited a year ago? Just wondering if a cookie is capable of stealing information inputted on other sites? I’ve seen a lot of conflicting answers online. For example, if I inadvertently visit a site such as a potentially fraudulent pop-up ad and it stores cookies on my browser and I then visit my email account and input my password can the stored cookies from the ad site collect this information? If I were to revisit the ad site again would the information be transferred? Thanks. No. A site can only see the contents of the cookies they, themselves place on your computer. What makes it appear more sinister is the fact that many websites use ad services which place cookies and then another website which uses the same third party ad service shows ads influenced by those tracking cookies. The article you are commenting on explains all of this. Does this mean that after viewing a pop up ad another website with a similar ad service could end up showing the same pop up ad, making it seem like adware is installed? Thanks for your reply. Yes. Absolutely. Ads are commonly “following people” around the internet these days based on tracking cookies. One more related question: Could such a pop-up or redirect ad download anything harmful onto my computer without me clicking on any of the links in it? Thanks again. It’s rare, but if an ad network is itself compromised, then yes, it’s possible. But it is very rare. Cookies don’t DO anything. They are simply information sent to sites that you’ve already visited. So no, a cookie can’t STEAL anything.